Bone Pain is the most common sign of bone cancer, and may become more noticeable as the tumor grows. Bone pain can cause a dull or deep ache in a bone or bone region (e.g., back, pelvis, legs, ribs, arms). Early on, the pain may only occur at night, or when you are active. As the cancer develops, though, the pain may become more persistent. Other conditions, like osteoporosis or arthritis, may also cause bone or joint pain. 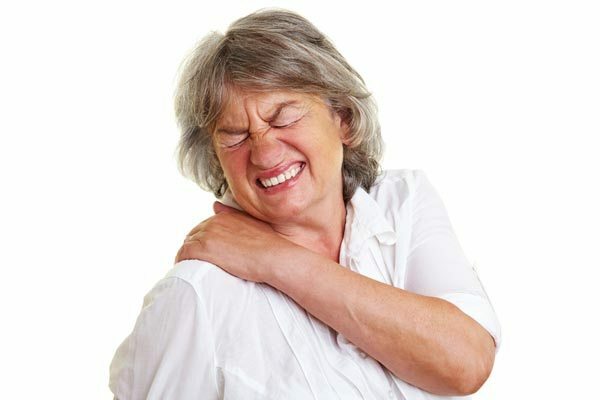 To get the whole detailed information about " What is Bone Pain? it's Symptoms and Prevention" you can read the whole article carefully.. Symptoms of Bone Pain : There are some symptoms of Bone Pain, which is provided below you can read all the symptoms of Bone Pain.. Swelling: The area where the pain is localized may begin to show signs of swelling, or a lump or mass may be present, it is the most common symptom of bone pain. Injury : Injury is a common cause of bone pain. The impact may break or fracture the bone. Any damage to the bone can cause bone pain. Mineral Deficiency : To stay strong, your bones require a variety of minerals and vitamins, including calcium and vitamin D. A deficiency in calcium and vitamin D often leads to osteoporosis, the most common type of bone disease. People in the late stages of osteoporosis often have bone pain. Metastatic Cancer : This is cancer that started somewhere else in the body but spread to other body parts. Cancers of the breast, lung, thyroid, kidney, and prostate are among the cancers that commonly spread to the bones. Bone Cancer : Bone cancer describes cancer cells that originate in the bone itself. Bone cancer is much rarer than metastatic bone cancer. It can cause bone pain when the cancer disrupts or destroys the bone’s normal structure. Diseases that disturb blood supply to bones : Some diseases, such as sickle cell anemia, interfere with the blood supply to the bone. Without a steady source of blood, bone tissue begins to die. This causes significant bone pain and weakens the bone. Infection : If an infection originates in or spreads to the bones, it can cause a serious condition known as osteomyelitis. This infection of the bone can kill bone cells and cause bone pain. Leukemia : Leukemia is cancer of the bone marrow. Bone marrow is found in most bones and is responsible for the production of bone cells. People with leukemia often experience bone pain, especially in the legs. Maintain a healthy exercise plan : To prevent or reduce the risk of bone pain it is very necessary to do healthy exeercise plan. Met enough calcium and vitamin D : Include enough calcium and vitamin D in your diet, it is very important to strong your bone. Drink only in moderation : To reduce the risk of bone pain drink only in moderation. Avoid smoking : Smoking is very dangerous to not only health but also for bones, so always try to avoid smoking. Pain relievers : Pain relievers are among the most commonly prescribed medications to reduce bone pain, but they don’t cure the underlying condition. Over-the-counter treatments such as ibuprofen (Advil) or acetaminophen (Tylenol) can be used. Prescription medications such as Paracetamol or morphine may be used for moderate or severe pain. Antibiotics : If you have a bone infection, your doctor may prescribe powerful antibiotics to kill the germ that’s causing the infection. These antibiotics may include ciprofloxacin, clindamycin, or vancomycin. Nutritional supplements : People who have osteoporosis need to restore their calcium and vitamin D levels. Your doctor will give you nutritional supplements to treat the mineral deficiency. Supplements are available in liquid, pill, or chewable form. Cancer treatments : Bone pain caused by cancer is difficult to treat. The doctor will need to treat the cancer to relieve the pain. Common cancer treatments include surgery, radiation therapy, and chemotherapy (which can increase bone pain). Bisphosphonates are a type of medication that help prevent bone damage and bone pain in people with metastatic bone cancer. Opiate pain relievers may also be prescribed. Surgery : You may need surgery to remove parts of bone that have died due to infection. Surgery may also be required to re-set broken bones and remove tumors caused by cancer. Reconstructive surgery may be used in severe cases where joints can be replaced or substituted.